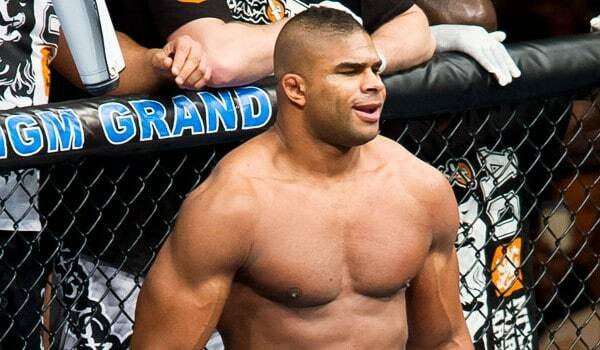 Don’t color me surprised when it comes to Alistair Overeem parting ways with the Blackzilians. Alistair Overeem’s last few training camps he’s been looking for something new, something different, with last time him heading to Thailand. It was clear that something was amiss within the Blackzilians and the former K-1 World Grand Prix and Strikeforce Heavyweight Champion. Tyrone and Alistair have not trained together in a very long time. He hasn’t trained with the team in a long time. His last camp he did in Thailand, and the camp before that he did in our gym, but he brought in his own trainers except for Kenny Monday, and he did all his training late at night. He had his own sparring partners, and basically did everything on his own. He’s not on our roster anymore, to be honest. It was a hard call for me, but I think it was something that was mutually in both our heads. I ended up making that decision because I didn’t feel I was the right person for him. I felt that there were people out there that could better take care of him. I had always told him that if I didn’t think I could do the best job for him, I would bow out, so that’s what I did. I still wish him the best. I feel like he has the ability to be the champ very easily. When he’s on his game, he’s just devastating. I think the best Alistair is yet to be seen. I don’t think he’s talking to anyone yet as far as new management, but I know he’s shopping around for a new camp. I’ve heard rumors, but nothing that I want to throw out on his behalf.